An off the shoulder maxi which will get you through the sweltering summer in style. The top half is elasticised to fit and contour whilst the lower half of the maxi will move with you. The knee high side splits will show off just the right amount of leg. 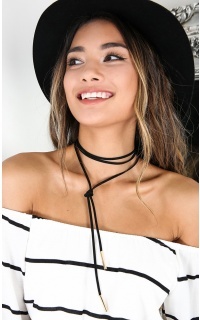 Pair with ankle boots and a hat to match!